We’ve all had bad days at work, maybe even a bad week. You lose your spark, you dread the office, and you’d rather be at home. But hopefully, that feeling fades after a few days and you wake up ready to tackle the world again. … that is unless it’s dreaded career burnout. Long hours, long commutes and heavy stress are making burnout a more and more common experience. You find yourself exhausted, and suddenly the job you loved is totally unfulfilling. You’re not alone, and you’re not a lost cause. There are ways to fight back. We talked with career experts to get their best advice. Career coach Anna Wood also adds that you should be on the lookout for any unhealthy habits that might be creeping in, like excessive drinking or poor eating habits, and take these as a sign that you need to treat yourself well so you can make good choices. Wood also says exercise is one of the most important ways to fight back against burnout. 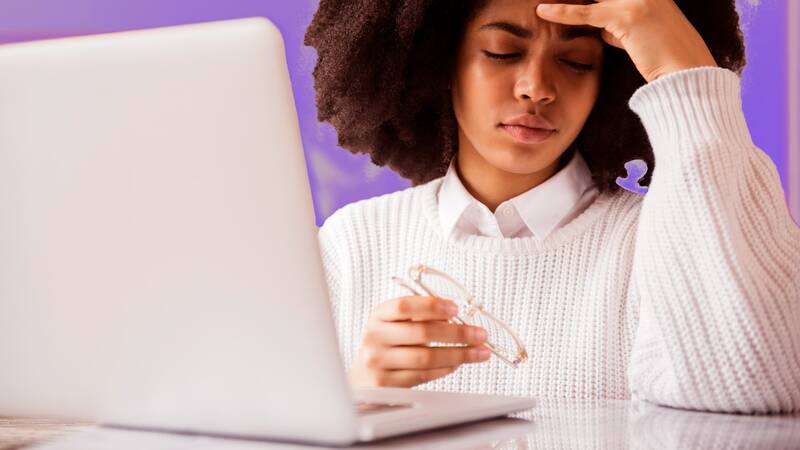 “Thirty minutes of cardio 3 times per week has been found in research to help alleviate depressive symptoms that sometimes come along with burnout,” she says. Raina has noticed that professionals often ignore their need for deep social connections. “We are social beings, and it is important to create and nurture authentic social relationships with those around us,” she says. These relationships can help give our life meaning and alleviate feelings of burnout. Another way to lean on your friends is to ask them to help keep you accountable for your self-care and other positive behaviors that might help your burnout, Wood advises. One of the main causes of burnout, according to Wood, is when you feel like you don’t have any say in what you’re doing, so create some independence where you can. “Use techniques like setting your intentions, managing your calendar and to-do list and asking your boss for more autonomy in your role, and tie these changes into your personal goals,” she says. “Try working from a different part of the office or outside. Have lunch with different people. Break up your day with yoga or a walk. Take a vacation,” Wood advises. “What you’re trying to avoid is the monotony of doing the same thing every day.” A change in your routine can give you a whole new outlook. “Really take a look at your time-wasters, learn to delegate where appropriate, and find time to take breaks during your day to eat a meal not at your desk or to take a breather,” Wood adds. Kirsten Bunch, an entrepreneur and author whose upcoming book, Next Act Give Back, is about giving back, revealed many of the mid-level career women she interviewed expressed a renewed interest in their careers when they were able to give back in some way. It might be mentorship, it might be creating a work club, it might be helping colleagues plan for retirement. “Incorporating a way to help others into your professional and/or personal life adds a new spark to an old career,” she says. Is everyone you’re working with also burned out? Wood warns this can be a sign it’s time to look for a new job because you’re unlikely to be able to fight against a whole culture of exhaustion. “Consider another organization that allows for greater balance, respects your personal time and values your health,” she says.